I think I also bought this from Brian Thompson but I forget. And for good reason. 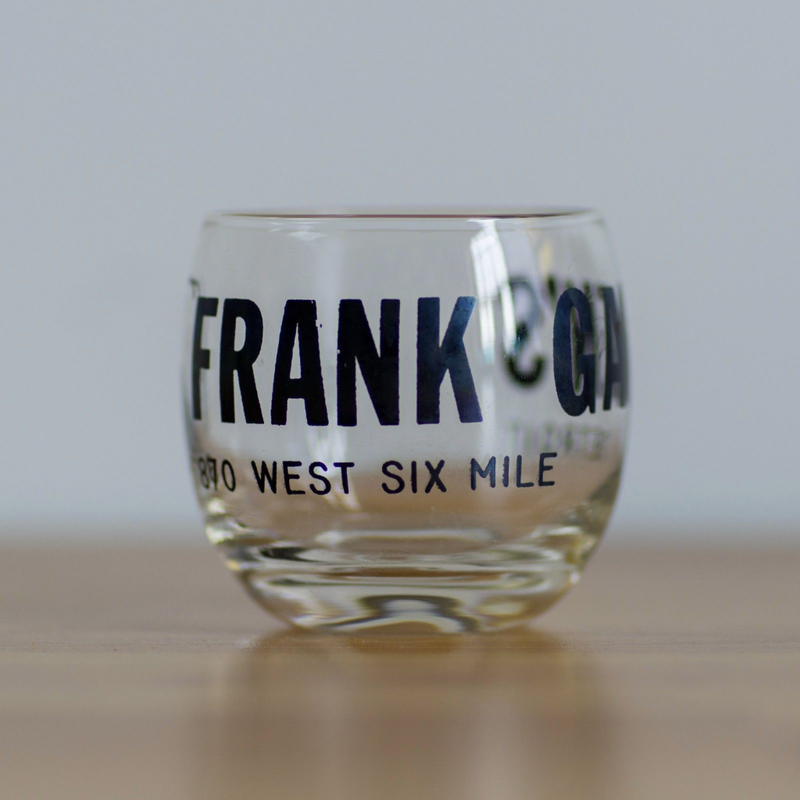 This was one of my favorite whiskey glasses. Something about it being stolen from a Detroit dive bar made the acrid smokey whiskey taste so much better going down. And when in Rome, I might as well drink as much whiskey as would a stool sitter at Frank Gagen’s would. A simple Google search (sorry no link.. eBay rules) yields that Gagen’s was one of Detriot’s first Gay bars & later a punk club. Well, since I only drink Lenny Brisco’s standard.. I never seem to use this glass anymore.